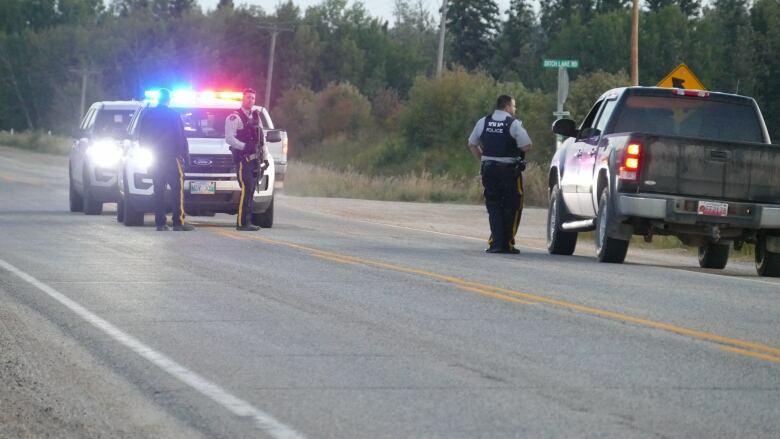 An RCMP officer was rushed to hospital with serious injuries after he was shot Wednesday night in western Manitoba. 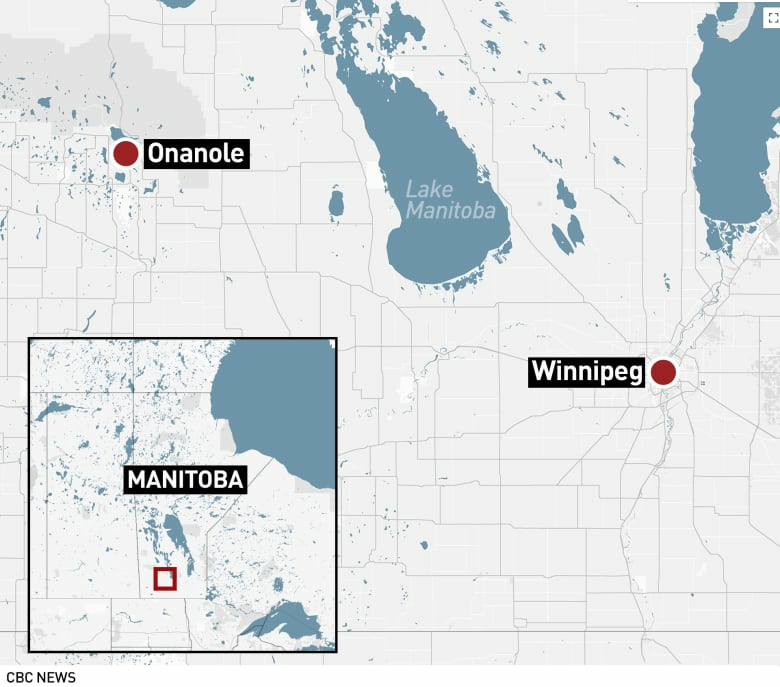 The incident happened near Onanole, Man., about 217 kilometres northwest of Winnipeg. STARS air ambulance was dispatched from Winnipeg to Onanole at about 10:20 p.m. CT.
RCMP have set up roadblocks around the town, limiting access to the community, and checking all vehicles coming in and out. Mounties are searching for two to three suspects. Police believe they may have split up with some possibly travelling in a Black 2005 GMC Sierra with the licence plate GBX 476, revised from an earlier, incorrect licence plate released by RCMP. Others could be on foot. Police say the suspects were last seen on Provincial Road 262. They are considered armed and dangerous, and police are warning residents in the area to be vigilant and report anything suspicious by calling 911 immediately. Police want residents in Onanole to check all doors and windows to ensure they are closed and locked. Dean Gunnarson called his parents in Onanole to tell them to lock their doors shortly after 11 p.m. CT.
Gunnarson says he was heading to Winnipeg to catch a flight at about 10:50 p.m. Wednesday when he drove by two RCMP cruisers and an ambulance at the corner of highways 10 and 354 in Onanole. "I thought it was a car accident because I saw the RCMP officer taking some pictures," he said. A short time later Gunnarson came upon an RCMP roadblock where Mounties were stopping vehicles in both directions. "The officer asked if I'd seen three suspicious people walking around Onanole," he said. "He said, 'It was a very serious offence and that's all I can say right now.'" After that, Gunnarson continued driving toward Minnedosa and said he saw a series of RCMP cruisers with their lights and sirens going as they streamed past him heading toward Onanole. "This is, like, really bizarre because basically it's a small little community and something like this just doesn't happen," he said. The community is just south of Riding Mountain National Park and many of the businesses cater to tourists. "When I heard it was an RCMP officer that was possibly shot, you know, that's deeply concerning because they're out doing their job trying to protect us." 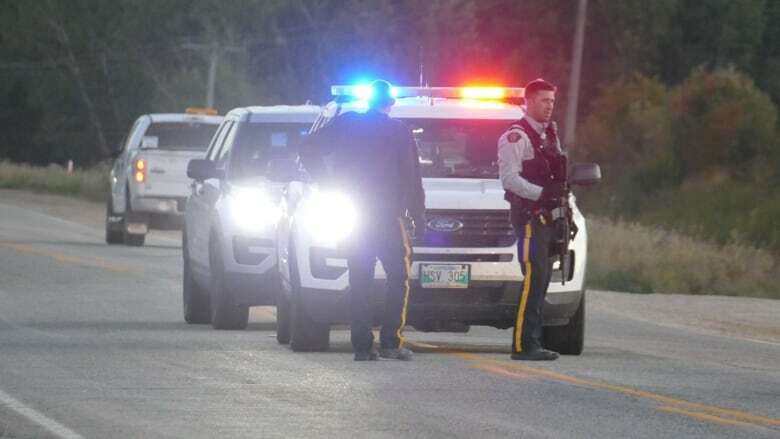 Michelle Amiotte lives about eight minutes from Onanole and saw several RCMP cruisers drive quickly by at around 11 p.m.
"Just out of the blue all of the sudden we seen cruisers going by, lights and sirens," she said. Police say to expect a heavy police presence in the area. They haven't released any further details and are calling the incident serious.